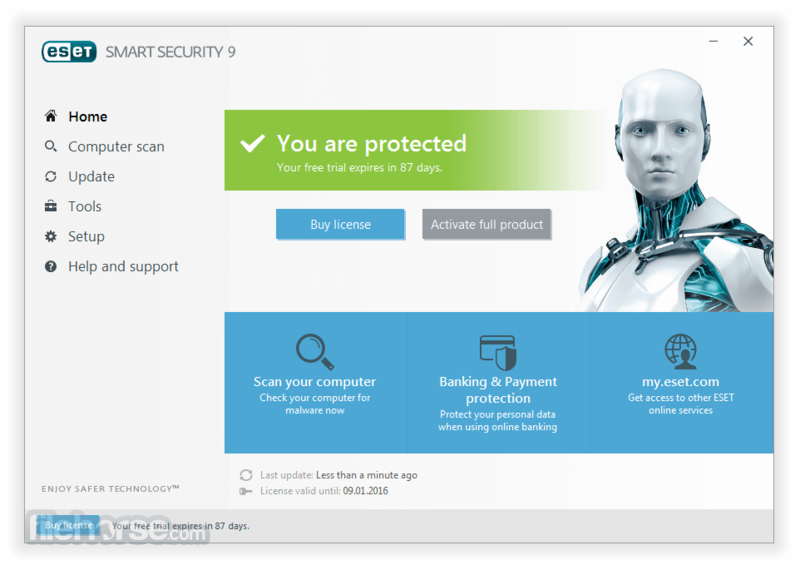 ESET Smart Security delivers multiple layers of Internet protection and protects your identity with Antivirus, Anti-Theft and Personal Firewall. 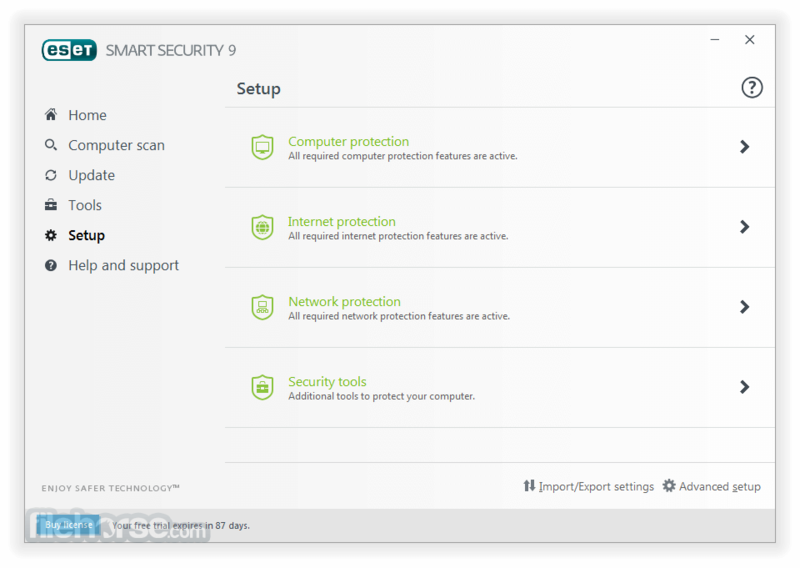 All-in-one Internet Security allows you to confidently explore online while protected against physical theft of your computer, identity theft and exposure to potentially offensive web content. 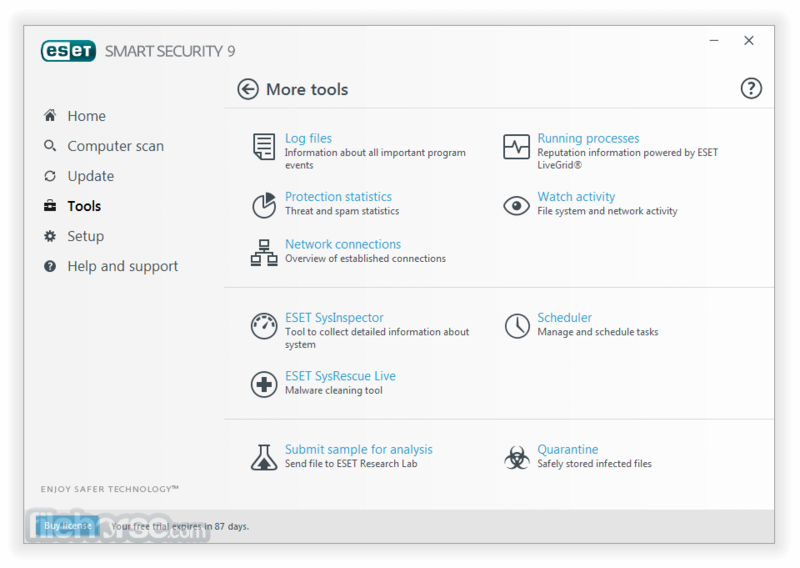 ESET Smart Security features Anti-Theft which locates your missing laptop and gives you tools to help recover it. 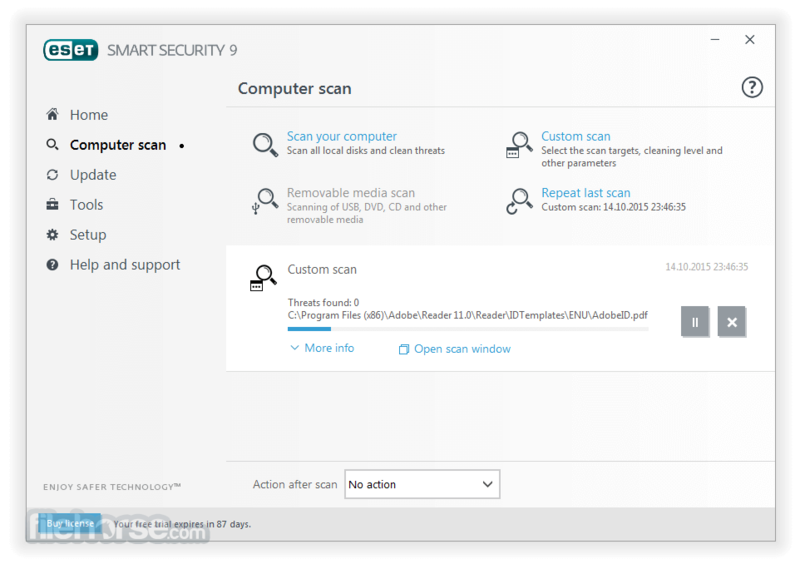 The new Social Media Scanner extends protection to your Facebook and Twitter accounts. 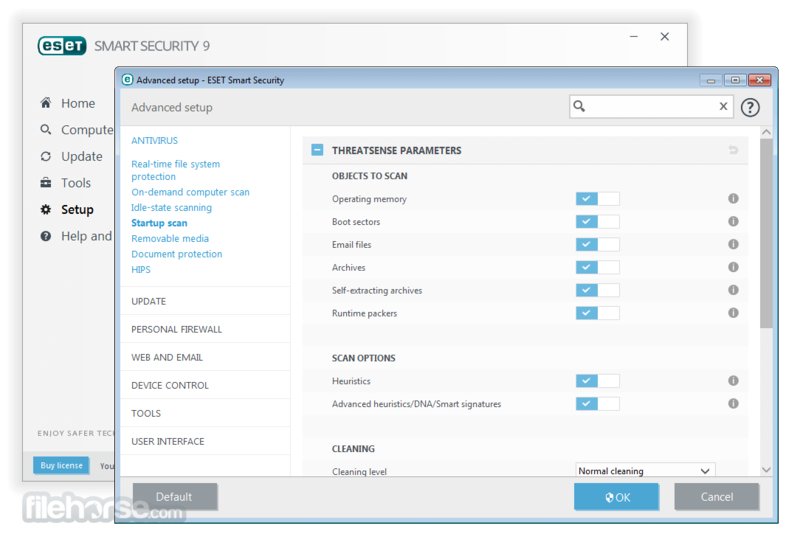 Personal Firewall and Anti-Phishing keep your data safe from identity theft and network attacks, while Parental Control and included Cybersecurity Training help make your family's online experience even safer. Ever worry about losing your laptop? Track and locate your missing laptop or contact the finder thanks to Anti-Theft.